If your company is in need of complete design engineering and consulting services, we advise you to work with the experienced professionals at Design it 4u. We recognize you're looking for a company that provides quality and value with profound industry knowledge. Companies can look to Design it 4u to provide ASME Pressure Vessels Design calculations and apply ASME pressure vessel calculation methodologies to many other types of plate structures. Design it 4u is capable of remaining flexible with their scheduling and methodology, we are conscious to always place the client first. Designit4u provides a full complement of professional design engineering and consulting services. The company is ideally positioned to partner with corporate and industrial clients looking for specialized design assistance, as well as manufacturers, engineering firms, general contractors and fabricators who would benefit from Designit4u's expertise and versatility of service. From developing 2D detailed manufacturing drawings, fabrication drawings and 3D CAD modeling to engineering analysis for heat transfer and fluid flow characteristics, we support heat exchanger design and calculations of plate, frame, air cooled, shell and tube, tube-in-tube, fin and tube heat exchangers. At Designit4u we deliver heat exchanger design services for all types of heat exchangers including plate heat exchanger design, frame heat exchanger design, air heat exchanger design, air to air, spiral, double pipe, tube, cross flow, tubular, spiral tube, water to air, steam, water cooled, condenser, counterflow, compact, oil, high pressure, kettle type, double tube, coil, air to water, tube fin, brazed plate, and tema heat exchanger design. 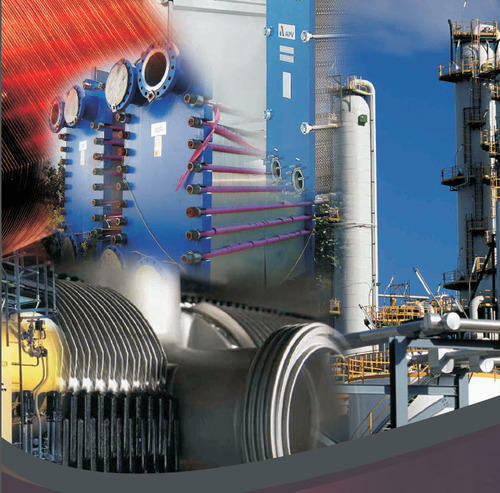 The mechanical engineering designers at Designit4u enable manufacturers effectively design & develop all the components of heat exchanges including tube, channel partition plates, shell baffles, tie rods, shell barrel and channel barrel, dished heads and flat heads, nozzles, flanges, tubesheets, expansion bellows, etc. Ourindustrial equipment designteam utilizes industry leading CAD drafting and 3D solid modeling tools such as AutoCAD, SolidWorks,to develop detailed and accurate drawings and models of heat exchanging devices. 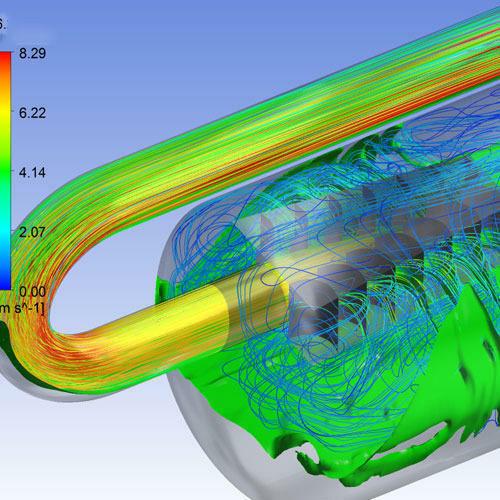 Engineering analysis experts in our team also assist you to validate the heat exchanger design, predict the flow behavior and perform necessary design optimization prior to actual manufacturing through CFD and FEA application. Designit4u also supports reverse engineering projects to recover design information, determine design intent and failure conditions for heat exchangers to establish accurate warranty and servicing schedules. Design, Analysis evaluation of Pressure Vessels (Tall Columns, Pressure Vessels, Pressure Vessels, Reactors etc.) based on ASME Boiler Pressure Vessel Code, Section VIII, Div. - 1, Div. - 2. Doing Local Load calculations for nozzles supports as per WRC, PD5500 etc..
We carry out detail engineering of static equipments. We have a team of qualified draftsmen designers to prepare detailed fabrication drawings. We also prepare enquiry documents like Enquiry drawing or MDS showing General arrangement and Orientation of Equipments, applicable codes and standards, Design data, material specifications, applicable standard specifications, design and fabrication requirements, inspection requirements, etc., which can be issued along with the enquiries. We carry out weight calculations for all types of heat exchangers and pressure vessels. We have a built-in database for different standard components like pipes, flanges, fittings, civil structure, material of construction etc. Weight calculations can be furnished for each components in the form of finished weight as well as raw material weight. The summarized weights for different materials of constructions is also worked out which helps in working out the estimations of the equipments. MTO for equipments can be furnished for each equipment as well as a summarized MTO for a group of equipments. This helps in planning and procurement of materials. Looking for “ASME Pressure Vessels Design”?